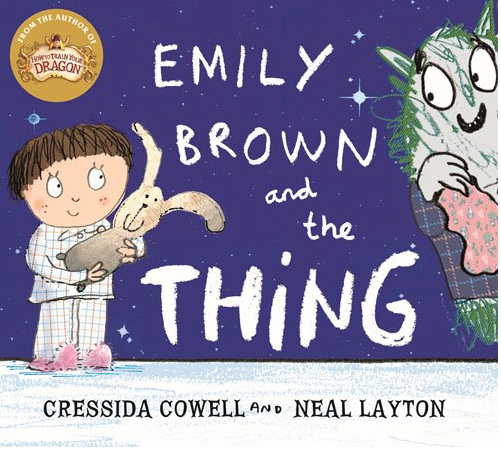 Today I am featuring another of our favorite authors, Cressida Cowell. She is a British writer/illustrator who write picture books and chapter books. Her wonderful sense of humor and whimsy have earned her books (and the movies made from them!) international recognition. While her wry sense of humor shines through each of her books, I find them quite diverse. 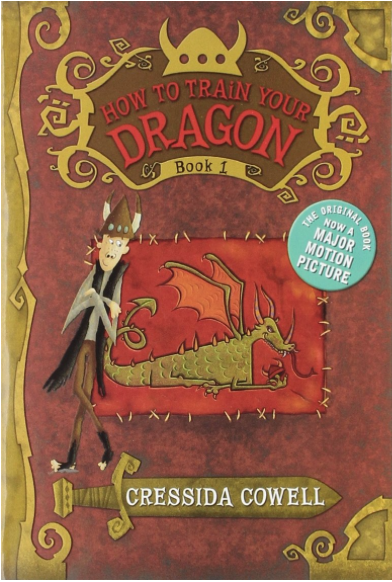 You may know Ms. Cowell from the Hiccup the Viking series, most notably How to Train Your Dragon. 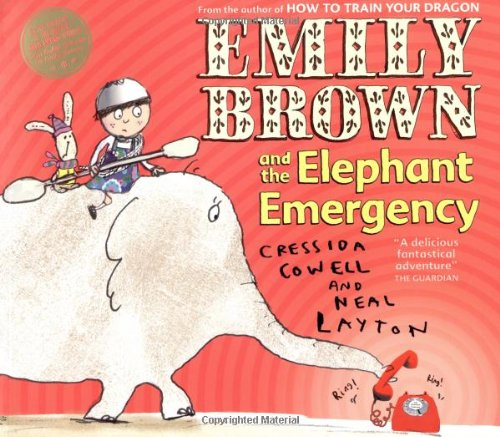 However, she is also the author of one of my children’s (and mine) favorite characters, Emily Brown. Her books range from board books for toddlers (What Shall We Do with the Boo-hoo Baby?) to picture books for the 3-8 year old range. Her Dragon books are longer and more complex, and therefore may appeal to the 7-9 year old target audience. 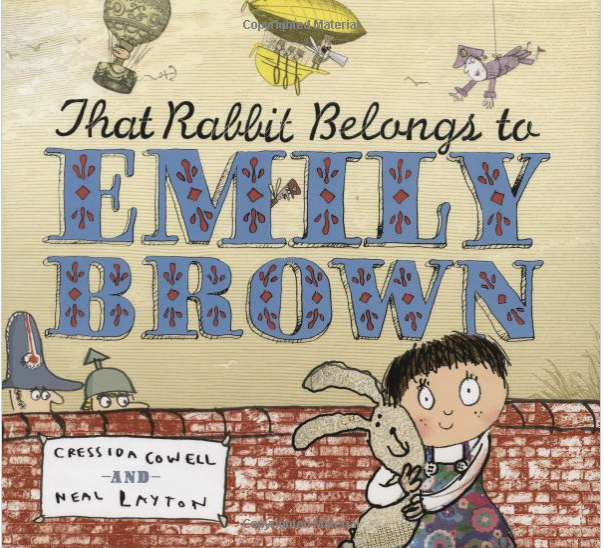 That Rabbit Belongs to Emily Brown is the clear favorite, but we have read all of the Emily Brown books multiple times. Read my previous reviews here and here. In the case of How to Train Your Dragon, we did the reverse of our normal approach and discovered the book after enjoying the movie. I also found a copy of How to Be a Viking (a picture book introduction to Hiccup) at our library, which also came with an audio companion CD with extra story elements read in a lovely Scottish brogue. Check it out if you can find it! 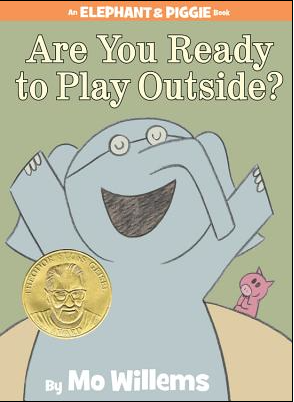 Some other books from this author that I have not yet read: Claydon Was a Clingy Child, Super Sue at Super School, Little Bo Peep’s Library Book, and Don’t Do That Kitty Kilroy. I also haven’t read past the first How to Train Your Dragon book, but my kids and I may in the future! What is your favorite Cressida Cowell book? Please share in the comments! My kids have been in morning camp for several weeks now, and have several more weeks ahead of them. They go to a wonderful camp held at one of our local elementary schools, which combines learning something new with general outdoor fun and arts/crafts. I have fond memories of my own camp experiences. I had a pretty diverse experience – I attended a playground camp, Girl Scout camp, and a intense camp at the local college where I took courses in programming and mime. And I loved every minute of each of them. I think summer camps should be somewhere that provides a change of pace, and an opportunity to look at your world a little differently. There isn’t the daily pressure of homework or other lessons – just a relaxed environment where you can try some new things, have fun, and perhaps learn something about yourself. You might find you really like the arts, or that tennis really isn’t your thing. It’s all about self-exploration. So how do we capture that in our adult lives? We can certainly try new things – a new skill, a new project, a new sport. We can also try to look at things with a new perspective. In the spirit of summer, I am trying to take a more relaxed approach to the summer. There may be some changes and transitions to my life in the fall (more to come on that later), so this may be my last fully engaged summer with my kids. I am taking it one day at a time versus making structured plans for each day. As long as we have a good mix of fun, quiet play, reading, and time together, I consider the day a success. So for this summer, I am narrowing the focus down to the bare essentials. Time with my family, time with some books, time to work on my novel, and time for the outdoors. I hope all of our U.S. readers are enjoying the long Independence Day weekend. In addition to all of the BBQ, beach, and outdoor activities you have planned, I thought I’d take a minute to share some of our favorite books about America. The last book is one from my childhood, published in 1975. I still enjoy reading it. The illustrations were done by J.B. Handelsman, a cartoonist for Punch in England and The New Yorker in the US. 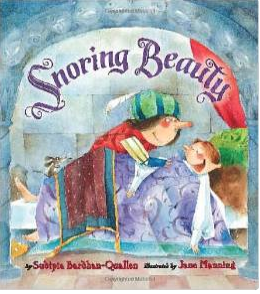 These cartoonish illustrations pair with the text to make Benjamin Franklin’s life very engaging to children. Best wishes for a lovely weekend! 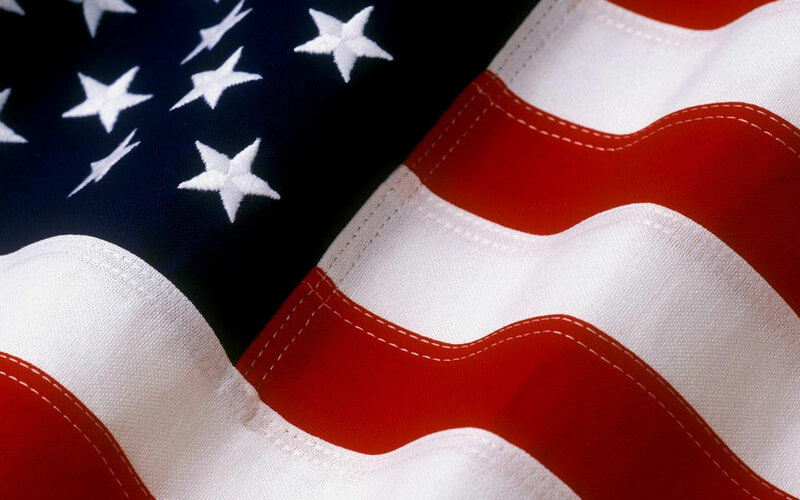 If you have any other favorites about America, please share in the comments.